Monsoon’s abandonment rate of 68% is much lower than the industry average of 75%, but still means a huge amount of lost revenue every day. The company worked with SaleCycle to turn these abandoners into customers. At Monsoon Accessorize we recognise the challenge of abandoned baskets and the opportunity to target these people our hottest prospects. 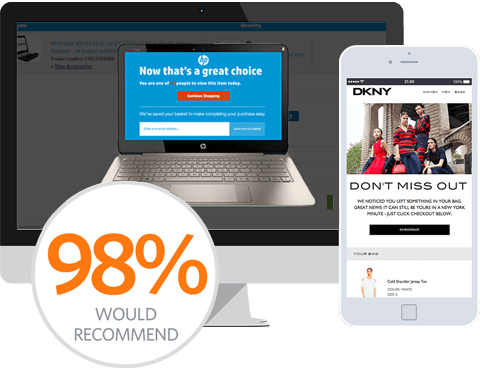 By working with SaleCycle and sending timely, well designed emails, we’ve increased our annual sales online by over 4% with an average order value 30% higher than our direct website sales. 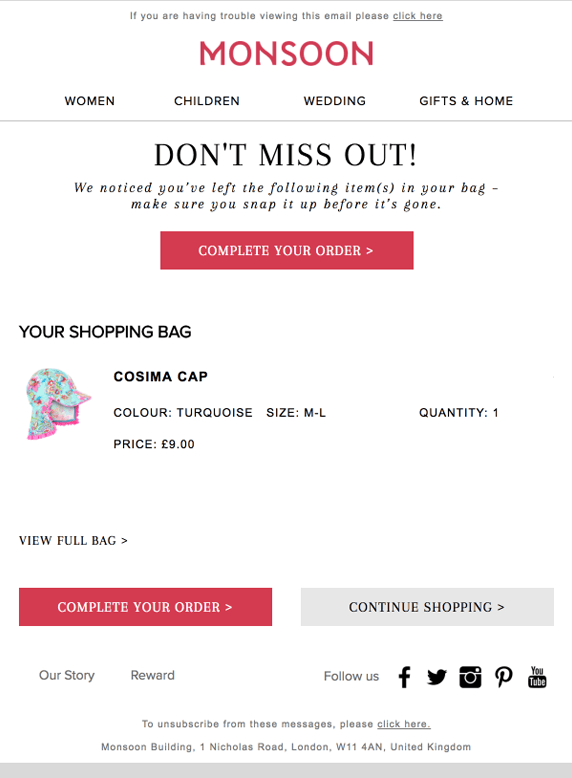 Second Cycle Email	Tempt them with product recommendations.